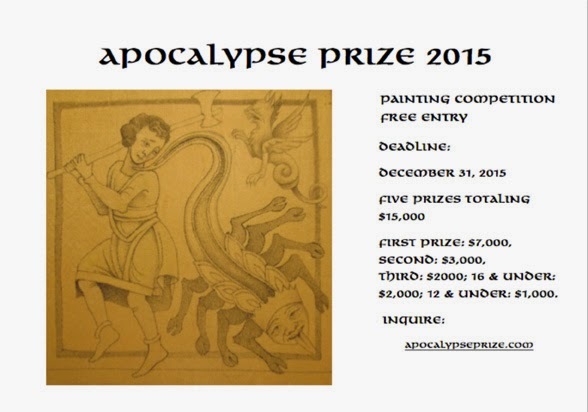 There will be a new competition this year, with a December 31st deadline. The 2013 contest was a wonderful learning experience. This is an excellent way for artists of all ages to develop a good working understanding of medieval art and how to use its conventions fluently in their own work. Along the way, they will learn to analyze the subject matter analogically and create their own piece by researching and sketching examples from medieval manuscripts.